This 4 bedroom home called The Marchmont close to a lovely traditional village green of nearly an acre and also has views to the Cheviot Hills with its south facing back garden. It incorporates good specification including oak doors, the potential to choose from a range of kitchens with a selection of Siemens appliances as well as tiles to the en-suite and bathroom. 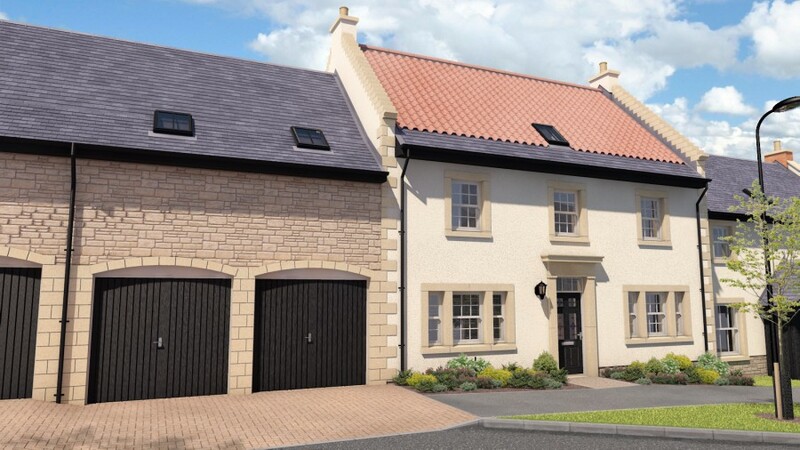 The Marchmont is situated in Leet Haugh which is a new development designed in the style of a conservation village, located on the edge of Coldstream with access to the historic Hirsel Estate which has a golf course, woodland walks, tea room and craft shops. On the ground floor, this period style family home has a fully fitted dining kitchen with access to the integral double garage; living room; WC and plenty storage. 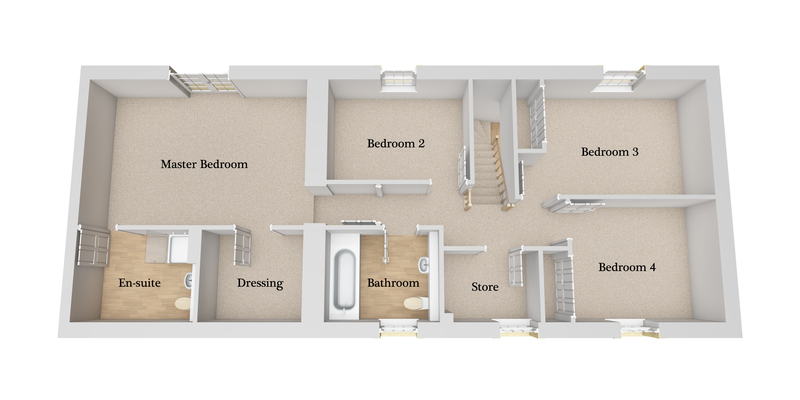 The first floor has a large bedroom with a dressing room and bright characterful en-suite; three further large bedrooms, two with wardrobes; family bathroom. The first floor also features a storage room with a window overlooking the back garden. The home has gas central heating. 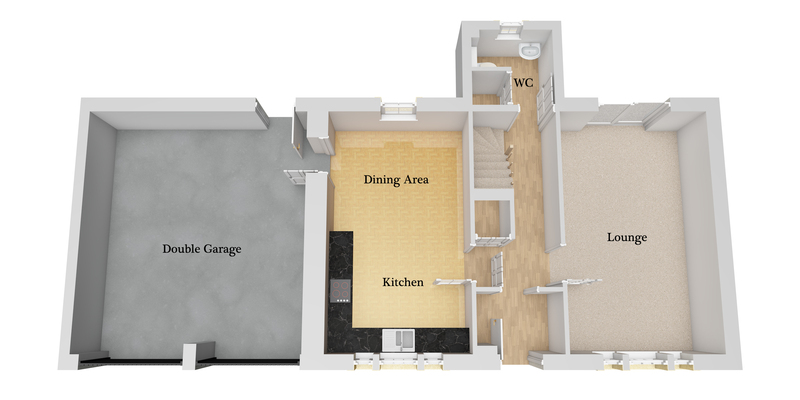 The development comprises a mix of 2, 3, 4 and 5 bedroom homes specifically designed to suit modern living within a conservation style country village influenced by the structure of a country estate. The architecture reflects the regional design vernacular with the use of oak features sourced from the nearby Hirsel Estate, finials hand turned on the Ford & Etal Estate, hand carved fascias, scallop and diamond patterned slate features, bronze finials on selected properties and the iconic weathervane located in the courtyard. 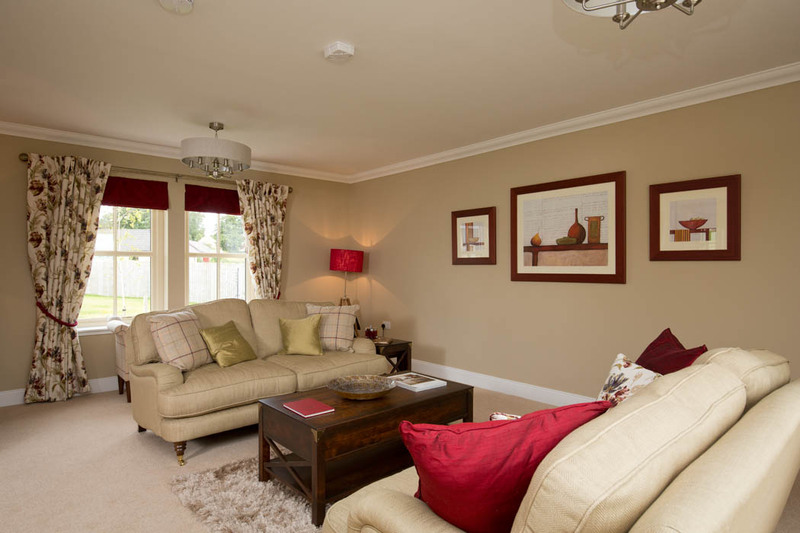 Despite the conservation and period design approach, the homes benefit from gas central heating, low energy lighting and generous insulation to meet or exceed the current building regulations. 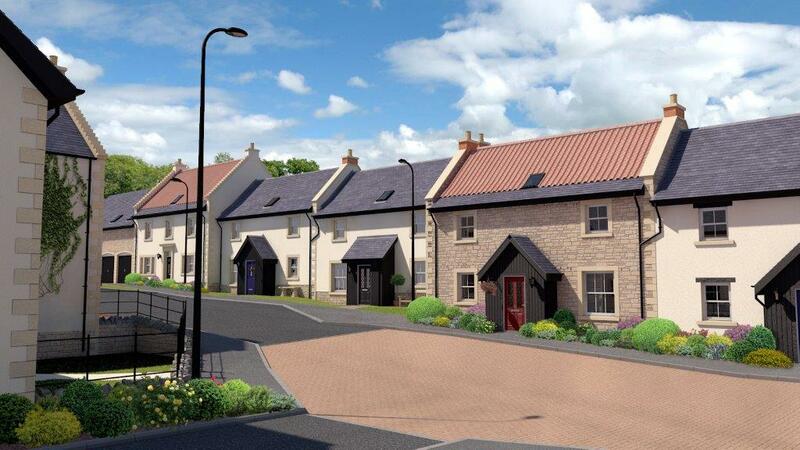 The development has been designed to form its own sense of place within Coldstream and the layout creates distinct areas nestled within landscaped zones and courtyards so as to create a sense of individual communities within Leet Haugh.